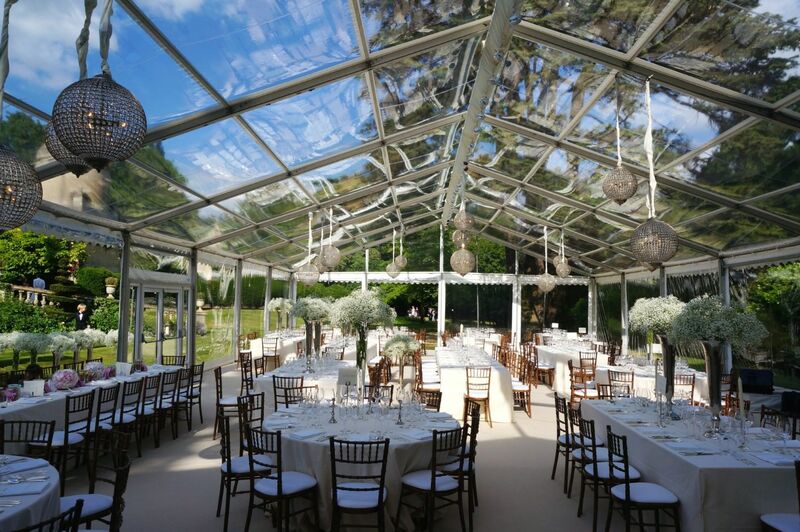 The popularity of the clear roof marquee has rocketed since a certain society wedding in May 2017. 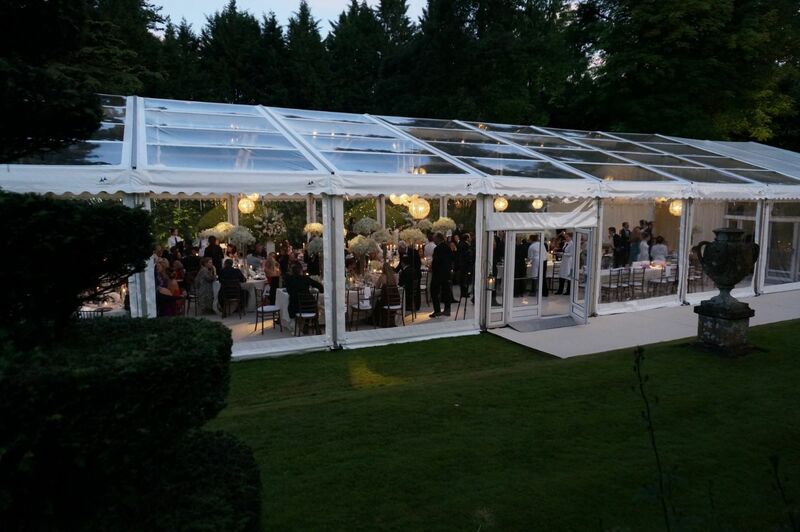 A clear roof marquee really does come into it’s own when the setting is truly beautiful, and to be shown off to the fullest. People often mistake it for glass, but it is in fact clear PVC. They can be a very unforgiving structures, and combined with clear panoramic window walls, how they are positioned is extremely important. 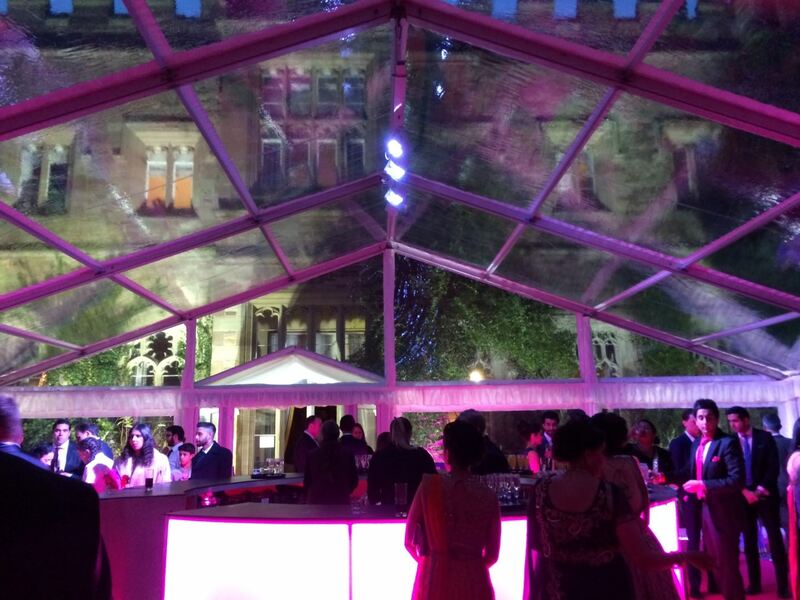 When there are spectacular trees and gardens around, it brings the outside to the inside of the marquee. A clear nights sky and the right lighting, can reveal a beautiful starlit sky, without the need for intervention from the lighting experts.  Use of a clear roof structure, should however be approached with caution. 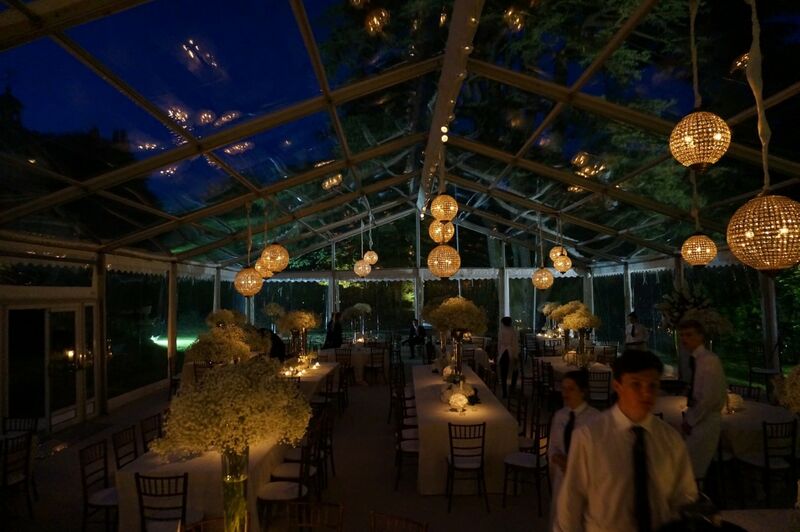 In the height of summer, it can become like a greenhouse and make for a very uncomfortable experience for yourselves, your guests and any floral arrangements. 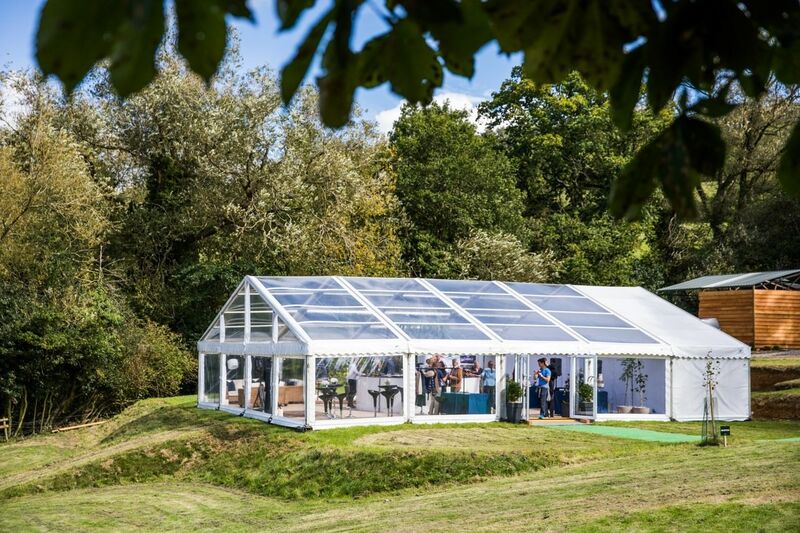 Where a traditional roof lined marquee would provide shade for your guests, there is nowhere to ‘shelter’ with the clear roof. 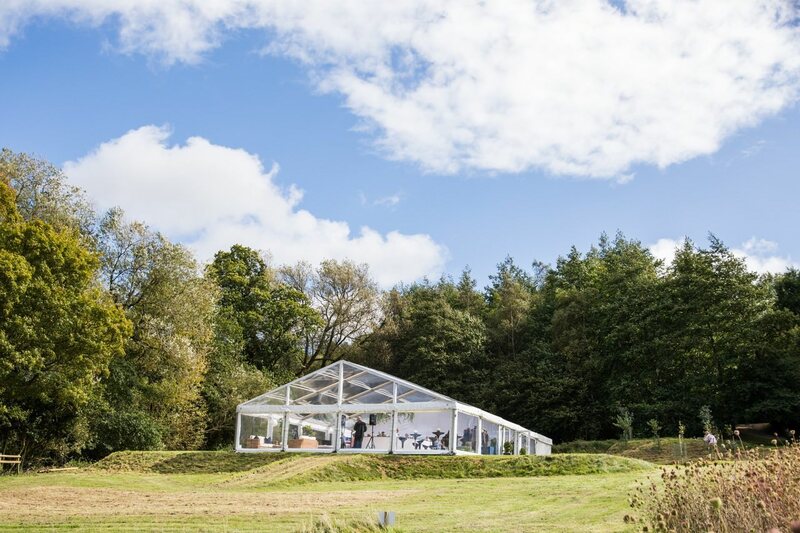 Having said that, in the right location and at the right time of the year, they are quite a unique structure, almost creating the feeling of an orangery or glasshouse, and the ethereal atmosphere of those timeless structures.